The consumer has changed; so should the way of reaching new leads. The old ways of marketing, such as TV/radio ads, billboards, and cold calling, are no longer an effective way to increase your consumer base. This excerpt explains why outbound marketing no longer works. This excerpt further explains the details of Growth Driven Design and how it works. Take a look. This excerpt focuses on another Wordpress plugin for ranking higher in Google. You are halfway through the year, but are you set to meet your 2015 goals? Profit and revenue might be important, but they aren't the only factors to consider when determining goals. You should also take rates of conversion and leads into account. This excerpt explains why. Having stylized pages is crucial for a strong marketing campaign, but trying to build your own template for your campaigns can waste a great deal of time and money. We wrote a blog discussing the necessities of a template and the faults of most templates in the marketplace. Here is a snippet of that blog. How Do Growth Driven Design Websites Differ From The Rest? This excerpt explains the concept of Growth Driven Design and what sets it apart from traditional website builds. This is part of of my "Ranking Higher In Google" series. I posted two of my favorite WordPress plugins for ranking higher in Google. This excerpt focuses on one of my favorite plugins and how it affects your website. Here, we will discuss some of the problems we see in the HubSpot marketplace. 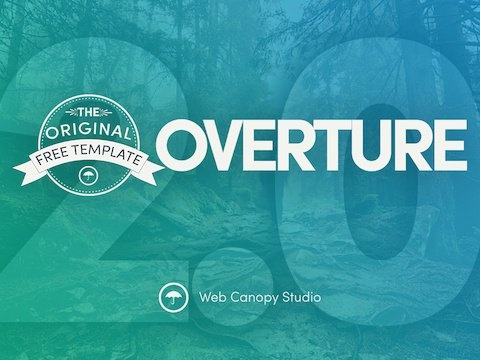 This excerpt discusses how to solve these issues with our template designs. Take a look below. We have recently begun the journey into the new concept of Growth Driven Design. When we tell our clients, they frequently ask what the difference is between GDD and traditional websites. This excerpt explains what typically happens for a traditional project. There are many methods for ranking higher in Google. For those of you who use WordPress, you are probably aware of the myriad of plugins available. This excerpt focuses on one of those plugins. As an entrepreneur, I am constantly trying to find new ways to grow my business. This one completely confounded me. This is what went through my head when I encountered the idea of Growth Driven Design. Growth Driven Design is a relatively new concept and among the best we've experienced. Here is an excerpt of why we believe GDD should be a normal approach for website development worldwide.